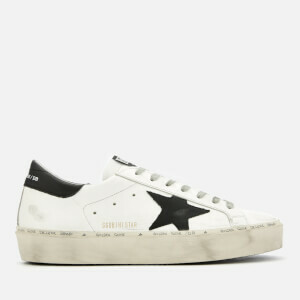 White leather ‘Superstar’ sneakers from luxury Italian footwear company, Golden Goose Deluxe Brand. 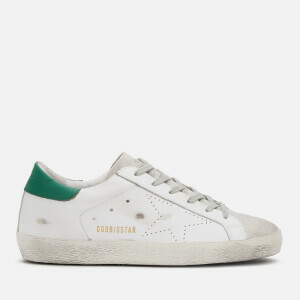 The men’s white trainers feature a rounded toe, a front lace up fastening and perforated detail for enhanced breathability. 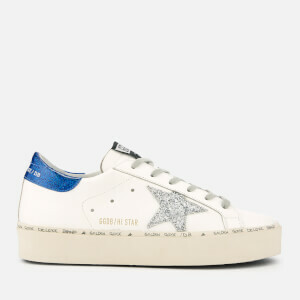 Set upon a textured rubber sole for superior grip and support, the low tops are decorated with signature star appliqué. 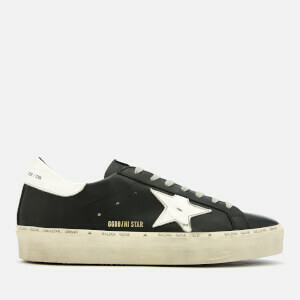 Branding to the tongue and heel complete the design.